Takker is a trade partner brand and originally launched after a successful appearance on the Irish Dragons Den TV series in 2009. 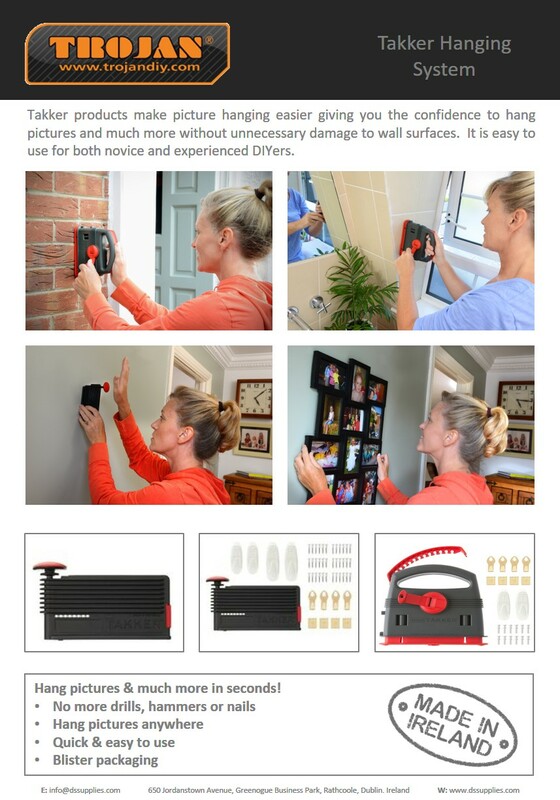 Takker's unique and versatile DIY tool's promises to make picture hanging easier and give consumers the confidence to hang pictures and much more without unnecessary damage to the wall surface. 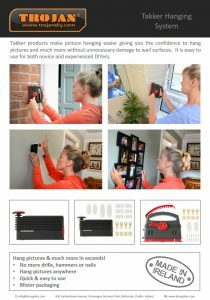 Takker is an innovative, practical and reliable tool and also has a range of accessories to make hanging easier. Takker is manufactured in Northern Ireland.